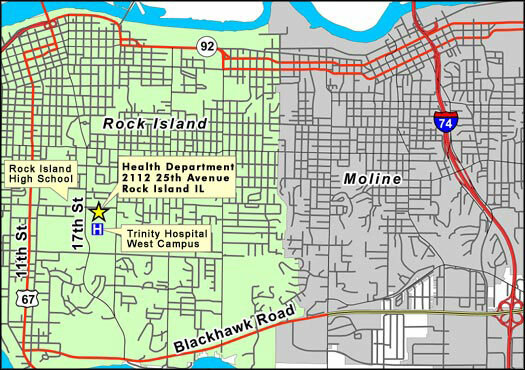 Take I-74 to Moline, take the John Deere Road exit going west, this will turn into Blackhawk Road (46th Avenue) in Rock Island, at 24th street in Rock Island (there will be a stop light) turn right. When you come to the the Y of 24th and 17th streets stay to the left and take 17th street. Turn right at the stoplight at 25th avenue and we are the first building on the right.